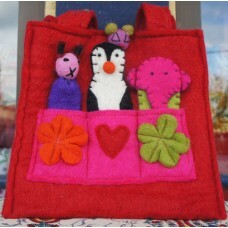 It is a wonderful bag that is made with the main aim of satisfying children. It is available in different colors and has small handles that makes it easier to carry. It also has 3 finger puppets in it that small children like to play with.